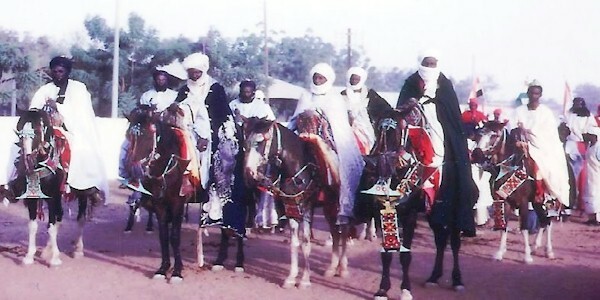 Dongola (also known as Dongolah or Dongolawi) horses originated in the Sudan in the Dongola Province, Egypt and Eritrea. It is also thought that they descended from the Iberian horses that were taken to Egypt from what is now Algeria, in the 13th century. They are taller than Arab horses, but related. They have a fiery temperament like the Arab and lots of spirit. They have large, long heads which tend to be narrow, a convex profile, flat crops, poorly attached loins, and thin legs. Their chest is flat and high. They are a deep reddish bay, black and chestnut with white markings on the face, lower legs and tail. They tend to be 15-15.2 hands high. Much of this is from poor breeding management. Some of the Dongola are nicely conformed, have endurance and vitality. An effort is being made to bring back the breed and improve it by the Institute of Animal Research in Garou. They were introduced into Ireland and bred to create faster hunting horses.